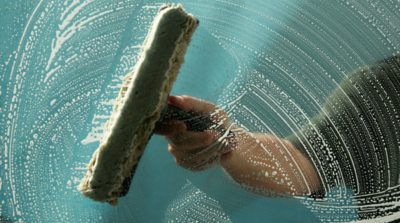 “a window washer soaps up a window for window washing” by Aqua Mechanical licensed under CC BY. People all over the world have been working overtime to meet the new General Data Protection Regulation (GDPR) from the European Union, taking effect today, 25 May 2018. At Hypothesis we’ve been looking at GDPR also, but in keeping with our principles, we see it as an opportunity to do more than just comply with new regulations. We challenged ourselves to improve how we think and talk about not only privacy, but also other practices that matter to annotators, like accessibility and community. One of our goals was to improve privacy without making things more complex or annoying for people. We started with our website. There’s no pesky popup cookie alert on our website, because we actually made it possible to visit without exposing your personal information. Public annotations appear even to fully anonymous users on any website that has embedded Hypothesis and on all websites for people who equip themselves with our browser add ins. Our own website is a good example of a site that needs to be clear about the privacy of its visitors, who may also see annotations on various pages without logging in. For the Hypothesis website, we’ve taken new steps to anonymize the information we collect, so site visitors don’t have to deal with privacy concerns just to access basic information. These same steps ensure that people encountering public Hypothesis annotations anywhere don’t have to worry about their privacy. Inclusivity and availability have always been central to our mission. We’ve worked hard to design and develop Hypothesis to reduce geographic, financial, or logistical barriers for users who want to read and write annotations on the web. That’s why Hypothesis is built on open web standards, will always be free to use, and works on a wide range of formats and platforms. We consider accessibility to be a key part of a larger effort to practice and promote what more people are now calling “inclusivity.” We work to increase the accessibility of annotation through inclusive design, a practice defined by the Inclusive Design Research Centre as “design that considers the full range of human diversity with respect to ability, language, culture, gender, age and other forms of human difference.” Following inclusive design, we look to make interventions not only to support accessibility for specific types of users, but to make annotation a better and easier experience for everyone. Learn more about our approach, status and next steps for accessibility and inclusive design. In a time when public civility is suffering, Hypothesis is renewing our commitment to foster good conduct in annotation as described in our community guidelines and inspired by our principles. Our first step is to make sure annotators see and agree to our community guidelines during the account creation process. We are also now surfacing them on every page of our website (look below). We know guidelines alone do not ensure healthy communities, so we continue to explore technical capabilities and human practices we can support that will help shape annotation as a welcoming, vibrant, and valuable public space. Annotation moderation, released last year, was a first step in this effort, and we are now experimenting with new group configurations that can help people with shared interests annotate together and make their work public when it makes sense. We’ll be sharing more information about new group configurations soon. Whether GDPR affects you or not, we’d love to hear your questions and suggestions about our new efforts to do the right things with privacy, accessibility and community. Visit our new online help and guidance, email us at support@hypothes.is, or annotate this page using the Hypothesis sidebar you can open at the upper right. At the bottom of this page, you can follow us on social media or subscribe to receive emails to get news about Hypothesis and annotation.